There's a chap out there called Bizi Ezerioha that turns regular engines into dynamite. Meet Bizi, the dude who owns Bizimoto Engineering and the tuner behind some truly, magnificently fast vehicles. 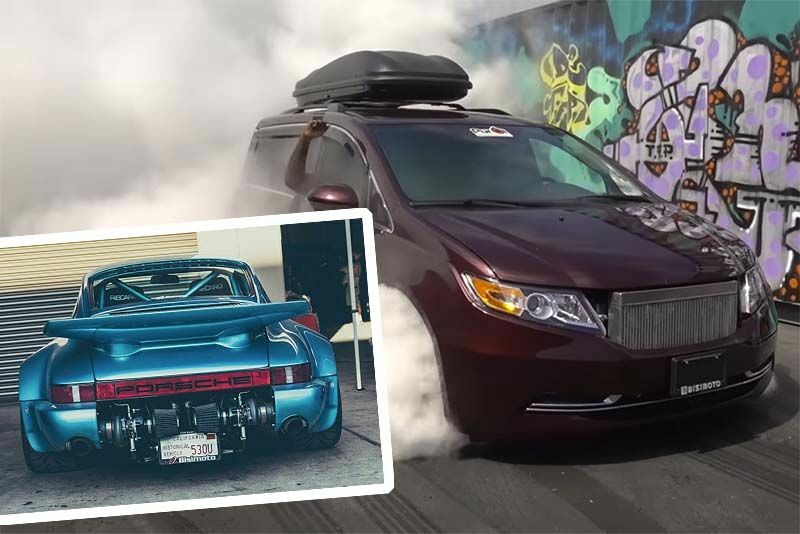 In the video below, Matt, from The Drive takes a look at two of his creations, a wide-body 1976 Porsche 911 Carrera and a 1000hp Honda Odyssey minivan. First up is the Porsche, and it is simply astounding. With extremely large twin turbos hanging off the back, uprated shocks and brakes, and really, really wide tyres, it goes like the clappers. According to Bizi, it has the potential to push out over 1000hp but, due to the fact that he thought it was going to kill him, he replaced the first set of twin-turbos with a slightly smaller set and fixed the output at 850hp instead. It's still ferocious though, with Matt exclaiming, it's got "as much power at the wheels as a McLaren P1". Once again, the modifications are extensive, including a manual gearbox conversion and a limited-slip differential. It's also got air-suspension, NOS and a bonkers turbo. The reason he built the Honda? Well, because he became a new dad, needed more space than a sports car but didn't want to give up the speed. Click play below to find out more and to see both vehicles in action.